This Mornings plan was animal kingdom, saying that we barely made it for morning. We arrived just before 12 and walked round towards yak and yeti counter service. 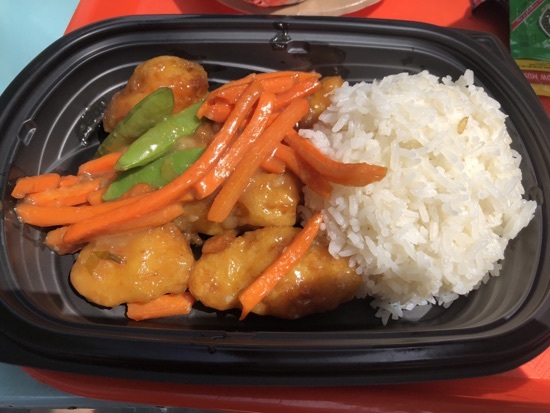 Dd and I shared the honey chicken with white rice, this was ok, not as goos as the honey chicken at the table service, it was only lukewarm and only had 5 pieces of chicken which seemed disappointing for $10.99. 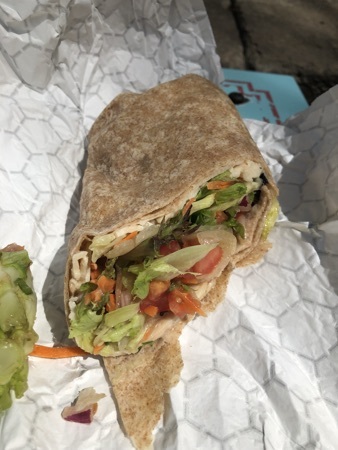 DH had the Asian chicken wrap, we were expecting it to be warm but it wasn't. His was also $10.99. 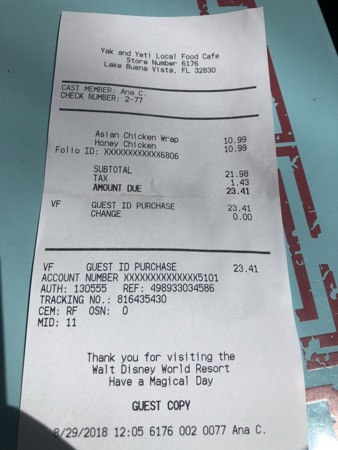 Total came to $23.41. We're finding that sharing a meal between dd and I is often a better amount of food and leaves us room for dessert! After our quick lunch we got the train from Harambe over to the conservation station. 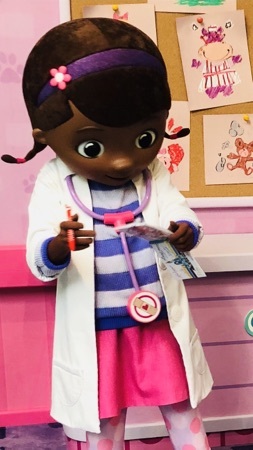 Here we met doc mcstuffin, there was no queue and no one came behind us so doc spent ages with dd and walked her round all the exhibits in this section showing her the animals and things. Dd absolutely loved this, she was In her element and couldn't stop grinning! 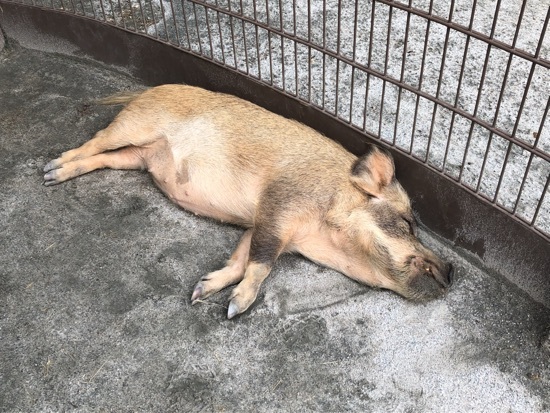 We went out to the affection section and petted some goats, sheep and pigs, the weather clouded over and the animals were roaming around quite a lot which was great for petting and brushing them. 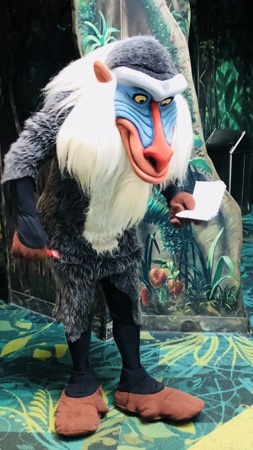 We caught up with Rafiki inside and said hi to doc again before catching the train back to harambe. 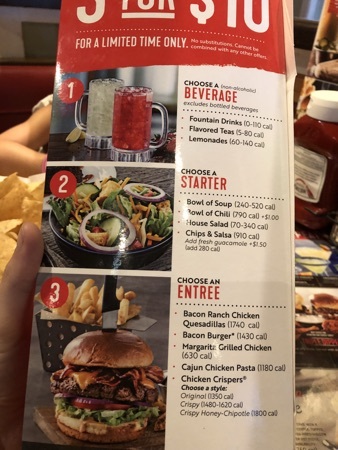 As we were walking back to the car it became obvious the weather was going to take a turn for the worse so we decided we would drive to Chili's in the 192 for a early dinner. DH and I decided to make use of this. We both ordered a coke to drink. 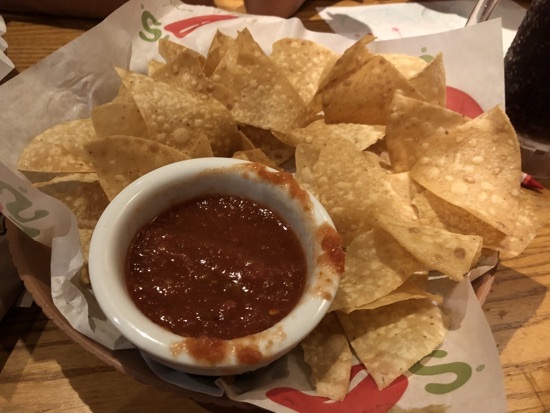 We had chips and salsa as a starter, there were loads of chips! Too many if anything - if that's possible. The salsa was really good and there was plenty. 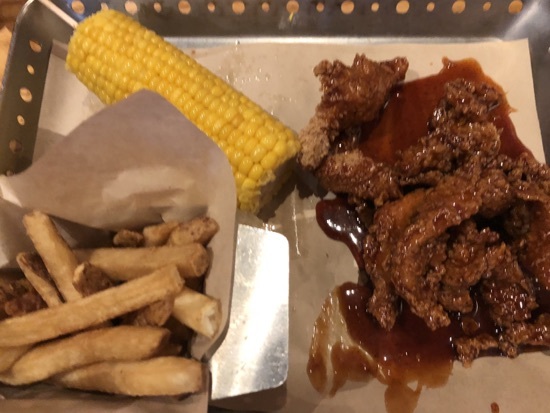 For the mains we both got the chicken crispers with honey chipotle sauce, this came with a choice of 2 sides too, we both had fries and DH had corn on the cob and I had coleslaw. Neither of us were impressed with the crispers, they tasted really greasy and left a weird taste in your mouth. I felt pretty sick after eating them. 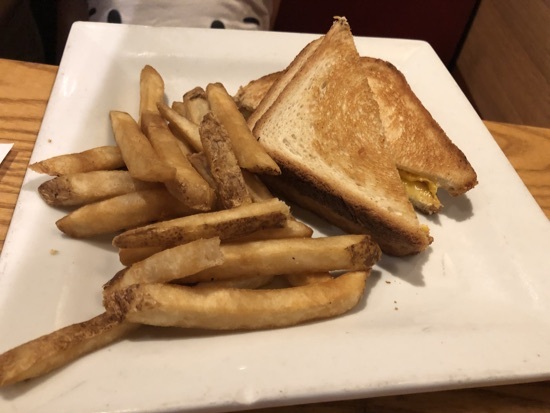 Dd had the kids grilled cheese for $5.20, this came with a side and she chose fries, to be fair she really enjoyed this. 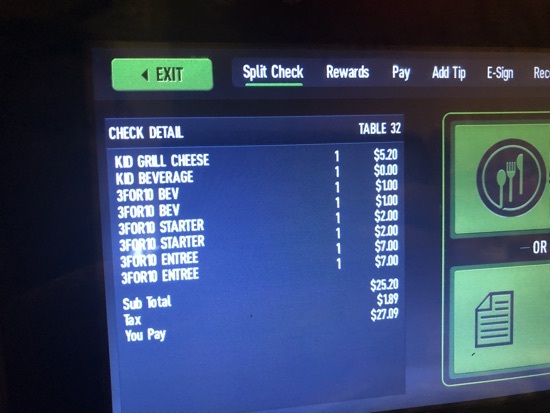 otal came to $27 which is pretty decent for 3 of us, just a shame about our mains. Unlikely to be somewhere we will return to any time soon, it used to be a firm favourite of ours but had certainly gone downhill in the past few years. 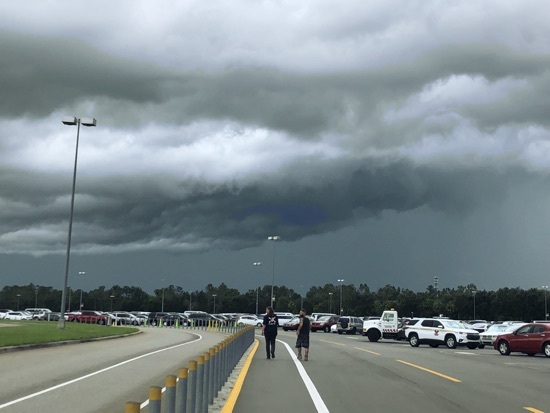 We had a fastpass for slinky dog but decided to sack off Hollywood studios and go to magic kingdom instead, it was still raining and we figured there was more to do in MK when wet and were closer to the hotel if we get soaked and want to go back/get changed. 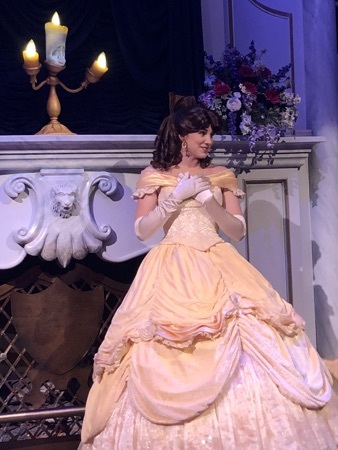 I made fastpasses for enchanted tales with belle, Cinderella/elena meet and greet and big thunder mountain. We had a wander around and went up the Swiss family Robinson treehouse, met Donald and goofy and dd went for a play on the dumbo play area even though there was no actual queue for the ride. 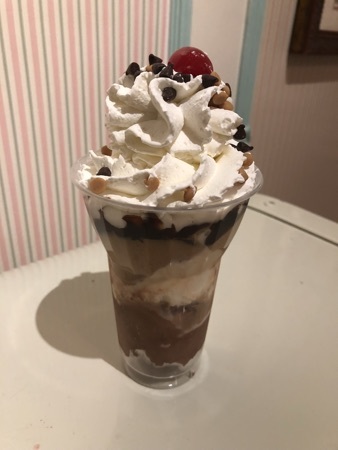 We went a found a spot on Main Street to watch happily ever after and after it finished we popped into the plaza ice cream shop for a sundae to share, we got an all American sundae with chocolate and butter pecan ice creams, this is topped with fudge sauce and peanut butter sauce, whipped cream, chocolate chips, peanut butter chips and a cherry. 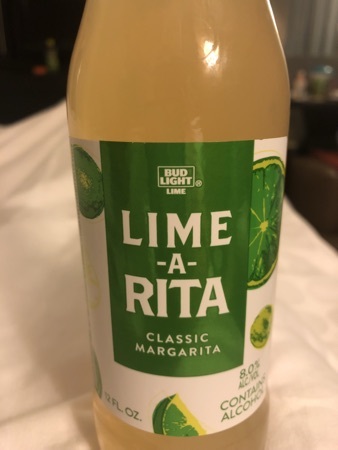 This was $5.69 and absolutely delicious! 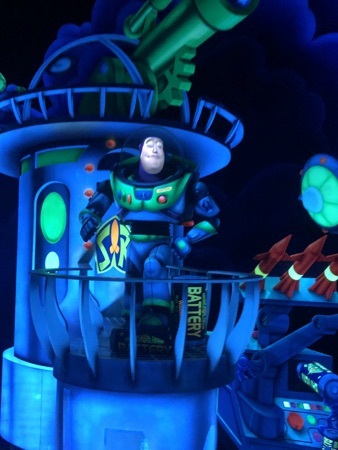 It was extra magic hours this evening so we stayed for abit longer and watched mickeys philharmagic, went on buzz light year space ranger spin which DH won by quite the margin. We considered getting the monorail back but the queue looked like it was halfway down the ramp and we remembered that one of the things we love about bay lake tower is being able to walk back to our room in 10 minutes so enjoyed a nice amble back. I had a couple of drinks and we ate some of our Halloween candy before going to sleep. New Photo Added by missdopey - 31 Aug 18 2:00 PM. Shame about the food at chillis but the sundae looks amazing ! Glad the rain hasn't stopped you getting lots of things done. My little girl is dying to meet Doc, it’s all she talks about.